Dr. E.J. Mayeaux, Jr., Professor and Chairman, USC Department of Family and Preventive Medicine, and Dr. Katherine Stephens, Vice President for Medical Education, Palmetto Health, presents the 2018 Halford Award to Dr. Chuck Carter. South Carolina AHEC is pleased to announce that Chuck Carter, MD, is this year’s recipient of the Halford Award for Leadership in Humane Education. Dr. Carter has devoted most of his career to resident education and has demonstrated outstanding leadership in providing humane education. Dr. Carter is the Director of the South Carolina Center for Rural and Primary Healthcare, Associate Designated Institutional Official for Graduate Medical Education Palmetto Health/USC Office of Graduate Medicine Education, and Associate Professor, Department of Family and Preventive Medicine, University of South Carolina School of Medicine. He served as the program director for the Palmetto Health Family Medicine Residency Program for 10 years and received numerous awards for his contributions to resident education including the University of South Carolina School of Medicine Teaching Advancement Award, the Outstanding Teacher Award from the Palmetto Health/USC Family Medicine Residency Program, and the Program Director Recognition Award, Gold Level, from the Association of Family Medicine Residency Directors. His commitment to education includes service on many education related committees, and he has extended knowledge of teaching as the author of peer-reviewed articles related to education. Dr. Carter has now taken the challenge of addressing the shortage of healthcare providers in rural South Carolina as the Director of the South Carolina Center for Rural and Primary Healthcare, which is an interdisciplinary and multi-institutional project. Dr. Carter serves the community as a local scouting leader and as a sports medicine physician volunteer for high school and Special Olympics athletes. Dr. Carter also participates in the South Carolina Medical Association’s Doctor of the Day program for the South Carolina legislature and does patient education work through local media. The Halford Award is presented to a Family Medicine residency training program faculty member in recognition of outstanding leadership in providing humane education. The award is named for Dr. James Halford, who was the founding director of the AnMed Health Family Medicine Residency Program. Award winners demonstrate a caring attitude and respect for patients, residents and students; value human dignity; and demonstrate a passion and joy for teaching, learning and working with others and participating in community service activities. Dr. Carter exemplifies the high values that are recognized in the Halford Award and is deserving of the legacy bestowed by this award. The South Carolina AHEC is pleased to announce that Hugh Osburn, MD, is this year’s recipient of the Ramage Award for Leadership in Humane Education. 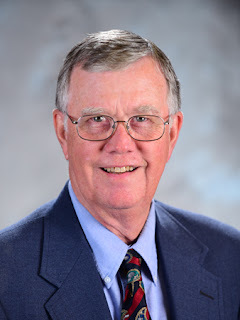 Dr. Osburn retired in June 2018 after serving as faculty with the AnMed Health Family Medicine Residency Program for 16 years. Prior to joining the faculty, Dr. Osburn was a highly valued clinical faculty preceptor on the adult medicine teaching service for 20 years. His work as an astute clinician and as a valued mentor and teacher of residents made it an easy decision to have him join as a full time faculty member in 2002. Dr. Osburn is nothing short of a legend in the Anderson medical community, and his patients, colleagues, and residents think the world of him. Dr. Osburn has a gift for inspiring residents to perform to their best ability and his enthusiasm for teaching extends to medical students as well. Colleagues and residents value his respect for his learners as well as for his patients. Dr. Osburn has given generously of himself to his profession and to his community. He was in private general internal medicine practice in Anderson from 1983-2002. During that time, he served as vice president and president of the medical staff and chair of the credentials committee of AnMed Health. He also served eight years on the Board of Trustees of AnMed. He has been a valued member of the community serving on the vestry of his church, on the board of the community swim center, as an assistant scoutmaster, and as a volunteer at the Anderson Free Clinic. His retirement is a loss for the residency program, but his legacy will live on through the over 300 residents he helped to train and the patient lives he touched. He has inspired numerous family physicians to practice patient-centered medical care respecting the dignity of each patient for whom he cares and learner for whom he provides guidance. 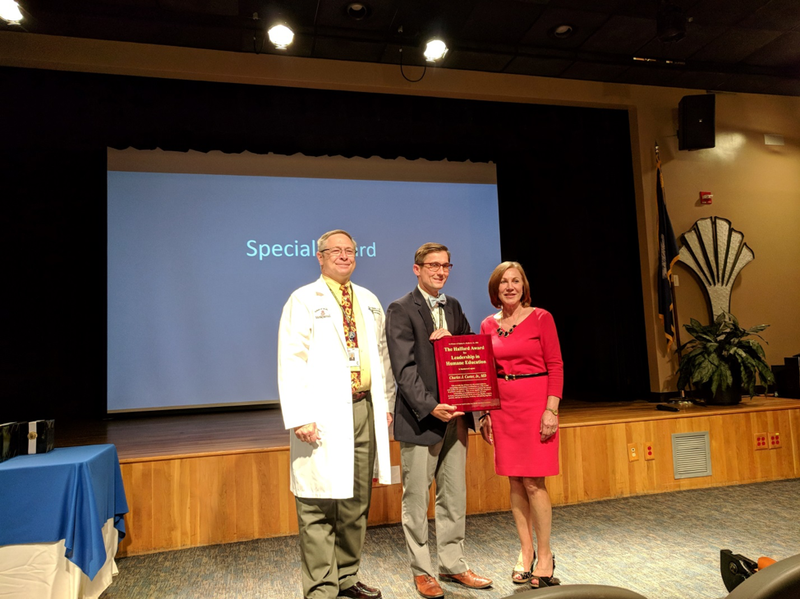 Dr. Osburn is truly an outstanding physician and educator who exemplifies the wonderful characteristics of the Ramage Award: a passion for teaching, the highest respect for human dignity, community service and a truly caring attitude towards all patients. The Ramage Award was established by South Carolina AHEC to recognize a deserving faculty member in a specialty other than family medicine. The award is based on a similar award, The Halford Award, which recognizes leadership in humanism in family medicine. Dr. Raymond Ramage was an integral part of the formation of the South Carolina Consortium of Community Teaching Hospitals in 1970 and was a “founding father” of the South Carolina AHEC in 1972. Dr. Ramage was the former Vice President of Medical Education at the Greenville Hospital System and an ordained Episcopal priest. 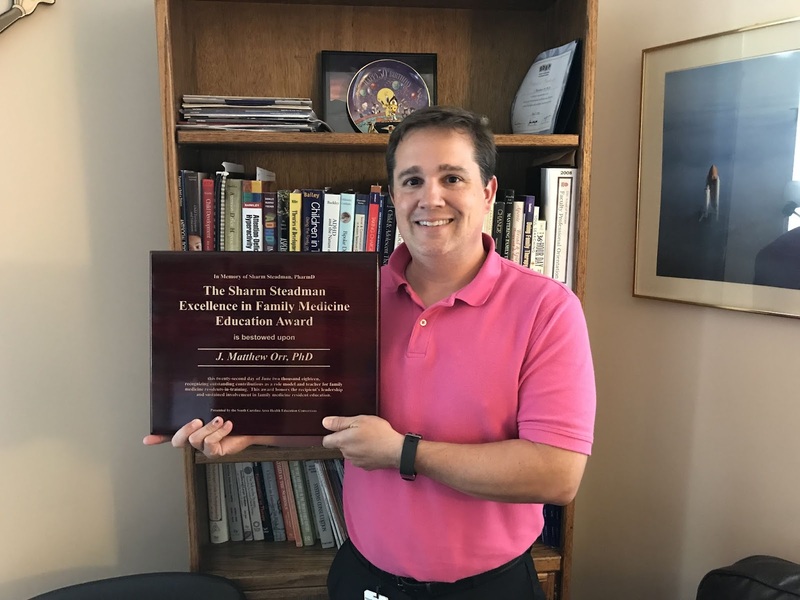 The South Carolina AHEC is pleased to announce that Matthew Orr, PhD, is this year’s recipient of the Sharm Steadman Excellence in Family Medicine Education Award. Dr. Orr began his career in South Carolina working with Cherokee Mental Health. He then served as the Director of the Marriage and Family Therapy Fellowship Program at Mercer University prior to joining Palmetto Health/USC in 2008. Dr. Orr has served as the lead Behavioral Medicine faculty member in the Palmetto Health/USC Family Medicine Residency Program where he is dedicated to the personal and professional development of the students and residents with whom he works. Dr. Orr engages residents to learn skills that can be applied in everyday patient care. Through video review, mentoring, and observing their interaction with patients, Dr. Orr helps residents learn the most effective ways to help their patients lead healthier lives. He is also a campus and state-wide leader in training clinicians in motivational interviewing techniques. Dr. Orr is the lead in USC School of Medicine’s PACER Project (Professionals Accelerating Clinical and Educational Redesign). This project is a national collaborative project sponsored by the Josiah Macy Foundation to help medical schools improve collaborative training in primary care for medical students and residents through faculty development and training redesign. Dr. Orr has added to his responsibilities through his role as Senior Professional Development Associate with USC School of Medicine’s Office of Continuous Development and Strategic Affairs. In this role he helps faculty and residents enhance their present and long term development as helping professionals. Dr. Orr embodies Dr. Sharm Steadman’s philosophy that great education requires a personal connection and commitment to the learner’s best interest and well-being. 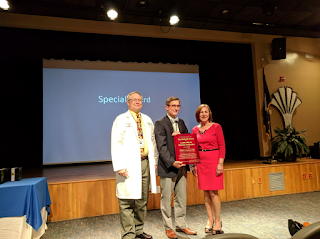 The Sharm Steadman Excellence in Family Medicine Education Award is given to a non-physician member of the faculty of a South Carolina family medicine residency program who has distinguished him/herself as an outstanding teacher and role model. 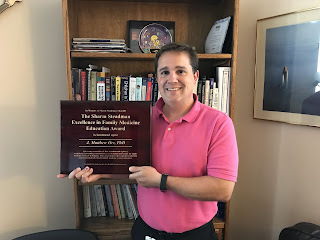 Originally called the Excellence in Family Medicine Education Award, the award was renamed in honor of Dr. Sharm Steadman, who passed away in October of 2015. Sharm Steadman, PharmD, was a professor with the USC Department of Family and Preventive Medicine, where she practiced for 25 years. Dr. Steadman received this award herself in 2012 as she represented exactly what this award was created to recognize: excellence in resident education, with demonstrated skills in teaching, curriculum development, mentoring, research, and leadership.